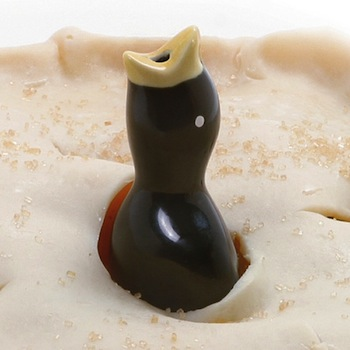 Allows steam to escape from your pie. Place in the middle of your pie to prevent bubbles and boil over. Made of oven safe ceramic.